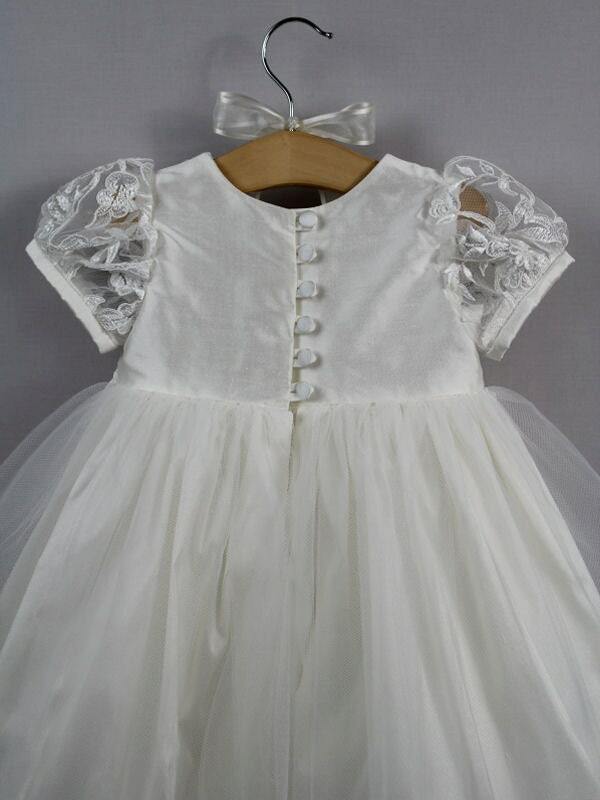 This gown is ideal for a baby who is now toddling or if you are not looking for a traditional long gown. 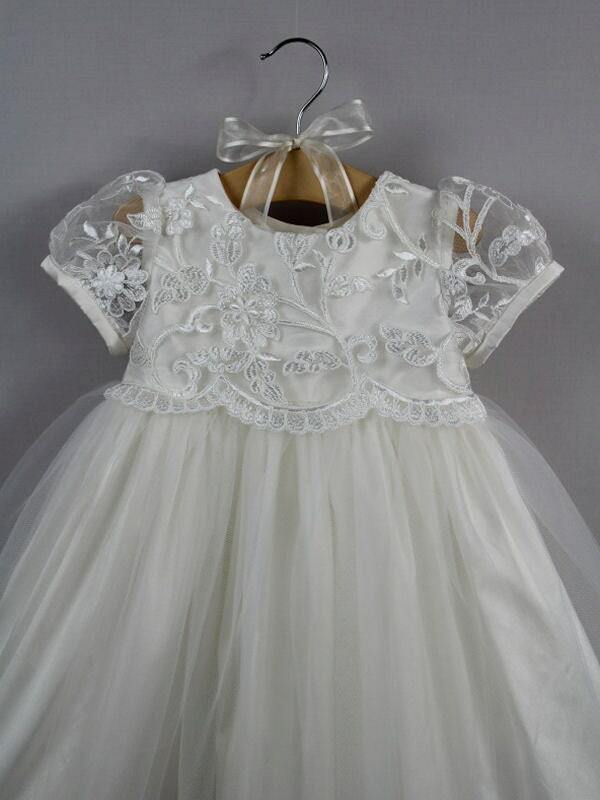 It uses a very pretty lace with a scalloped edge to detail the front of the bodice. 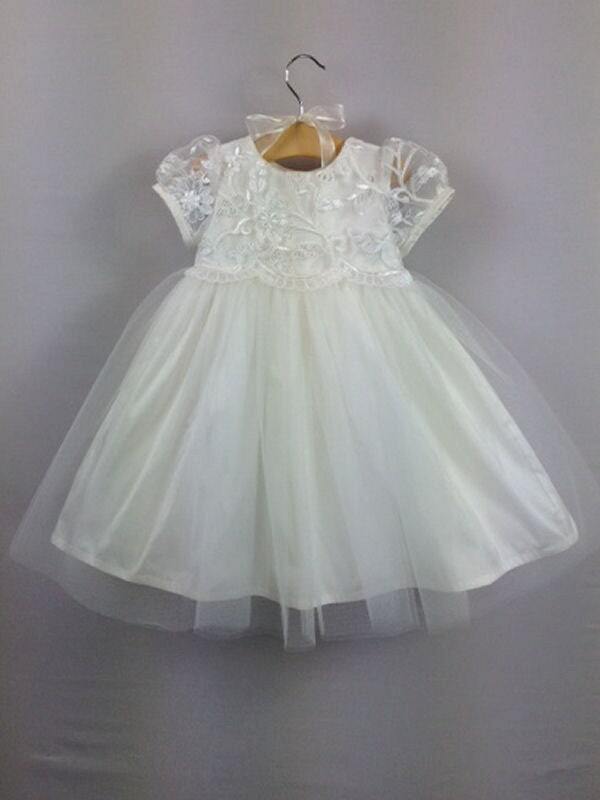 The scalloped edge sits onto the top of the tulle skirt. The skirt has two layers of veiling tulle over dupion silk which creates a very dainty gown. The veiling tulle is very soft. The sleeves are all over lace and see through with a silk cuff finish. Absolutely beautiful dress. Very high quality and fits perfectly. 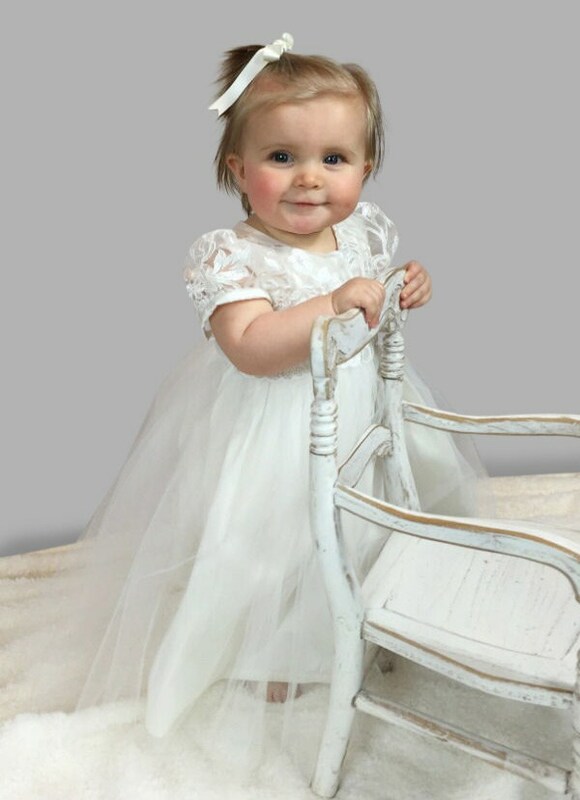 I contacted Rachel to make sure that the size was right for my daughter and she was extremely helpful. It arrived very fast and I could not be more delighted with it.